The exchange of mooncakes is a significant gesture during Mid-Autumn Festival that must not be skipped. 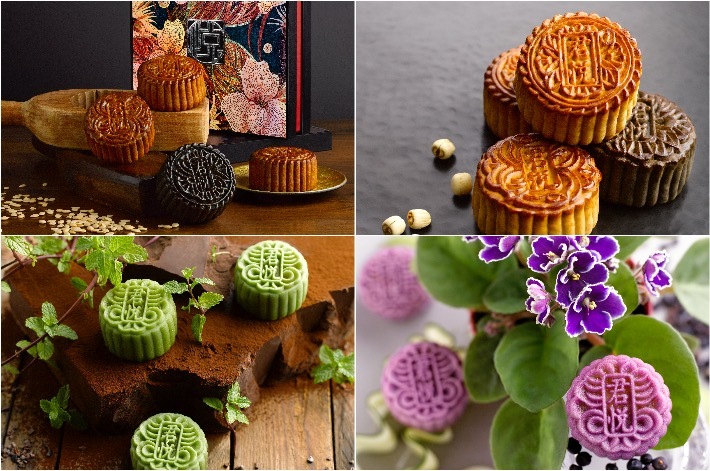 If you are looking to get high-quality mooncakes in time for the occasion, you can always rely on Grand Hyatt Singapore for they make some of the best ones in town. Every year, we look forward to our favourite snowskin mooncakes from Grand Hyatt Singapore which come in all sorts of interesting flavours. This year is no exception of course, and as with every Mid-Autumn Festival, we seek joy and comfort in indulging in the snowskin mooncakes with premium truffles. Trust us on this; Grand Hyatt Singapore’s snowskin mooncakes will have you falling head over heels in love. From 28 Aug to 15 Sep 2017, enjoy 15% discount when you pay with selected credit cards while Damai and Club at the Hyatt members are entitled to 20% off their bill. Thereafter, those who make their purchase from 16 Sep to 04 Oct 2017 enjoy 10% discount with selected credit cards while Damai and Club at the Hyatt members get 15% off. These artisanally handcrafted mooncakes come in intricately patterned boxes with elegant rose, red and gold floral accents. You even get to choose how you want to personalise each box—pick any four traditional flavours (double yolk or no yolk) or any of the snowskin mooncakes instead! Talk about a customised gift! For snowskin mooncakes (S$69 for eight) this year, Grand Hyatt Singapore is featuring two new flavours which are Violette & Gin and Chocolate-Mint Fondant. Violette & Gin is the beautiful purple piece which comes with floral flavours and is infused with Tanqueray No. TEN gin and crème de violette liqueur; the green one is Chocolate-Mint Fondant and it is a mixture of both white and dark chocolate with a mint fondant center. Otherwise, rely on the classic favourites—Champagne Truffle, Lychee Martini Truffle and Peanut Butter & Sea Salt Truffle—that come in the box every year. Unsure what your recipient will like? You can never go wrong with traditional baked mooncakes (S$69 for four) from Grand Hyatt Singapore. Take your pick among various flavours such as red lotus double-yolk with roasted melon seeds; white lotus double-yolk with roasted melon seeds; and black sesame lotus double-yolk with bamboo ash. Once again, from 28 Aug to 15 Sep 2017, enjoy 15% discount when you pay with selected credit cards while Damai and Club at the Hyatt members are entitled to a 10% discount. And if you miss the first promotional period, the next one is from 16 Sep to 04 Oct 2017 where you can enjoy 10% discount with selected credit cards. Damai and Club at the Hyatt members get a 15% discount. Find out more details of Grand Hyatt Singapore’s mooncakes at www.singapore.grand.hyattrestaurants.com/shopatmezza9.